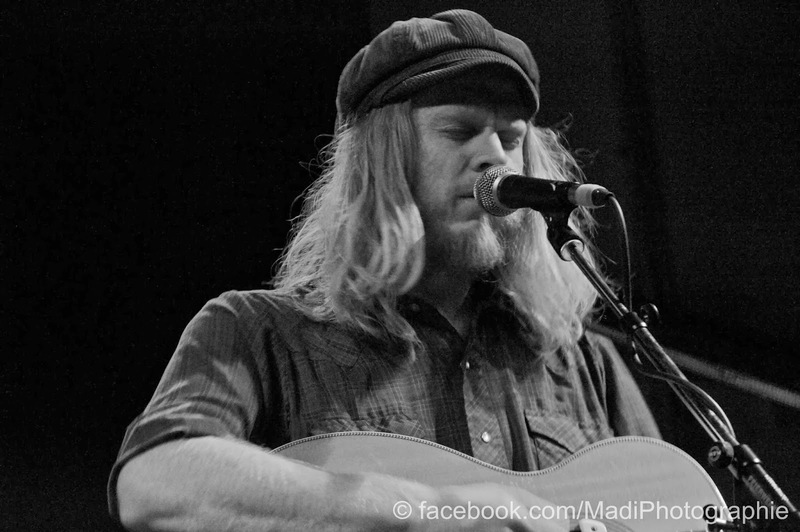 Stu Larsen was in town again! So we decided to do an interview with this incredible guy. Check out his song ‘San Francisco’ together with Natsuki Kurai. They just finished a tour together. Uhm…horrible. (laughs) Acoustic folk music, storytelling music, I guess. Easy music. Easy to play, easy to listen to, I think. Lots of them. Passenger inspires me, just with the way he operates, the way he does his thing. Natsuki Kurai aswell, he’s amazing. Just dedicated to his instrument and to his work. Guys that work hard to achieve good things really inspire me and motivate me to work hard. Also guys like Damien Rice, Ryan Adams those guys really inspire me musically. I love what they do. I want to be as good as them one day, maybe. Have you got a favourite country to play music in? I grew up in Australia, obviously, and playing music in Australia, I thought, was amazing. So I went to New Zealand and I was like „Oh my gosh. New Zealand crowds are amazing.“ And then I went to the UK and it just kept getting better and better, and Europe is up here aswell. It’s amazing. So mainly Europe is phenomenal. And America as well is quite good. We just played there and the crowds were amazing. I don’t have a favourite country to play music in. But those are very good ones. Germany is up there. Are there any musicians you would like to work with? I don’t know. Yes…no… I think I work with the musicians that I want to. Like Passenger and Natsuki I meet people every now and then who I wanna play with and so I do. So you’re happy just the way it is right now? Yeah, definitely! I mean, next year I’d love to bring two friends on the road with me. I don’t know who they are yet, just people who can sing and play an instrument aswell. Someone like who can sing and play lots of instruments so we can have three vocals and banjo or whatever else. I’m keeping an eye out for those people. Might be these guys tonight, actually. Which advice would you give to young musicians who are only just starting to make music? How can they achieve their goals? I think it’s important to know what success means to you. And for me it was to simply play music and have a job. For me, that was success. Since I quit my job I’ve always felt like I’ve been doing the right thing. And the other thing is to carry on even when you run out of money or when maybe just five people come to your show. You can feel like you just want to give up, but don’t give up. Keep going. When I quit my job, I promised myself that I would do it for two years before I went back to a job or anything, just so that I gave it a really good chance to work or not work. Because after a month you want to give up. After three months you think „Why am I doing this?“. But after a year you start to think „Maybe, maybe…“ After two years it was happening so yeah..
Know what success is and dont give up. Define your own success and stick at it. That’s the best advice I can give. Well, it worked for you. So far! Yeah. But some people would look at what I’m doing and think that it’s not successful, because their definition of success is different. But for me, all I want to do is travel the world and play music, and that’s exactly what I’m doing, so I’m very happy. It worked for me i think, yeah. 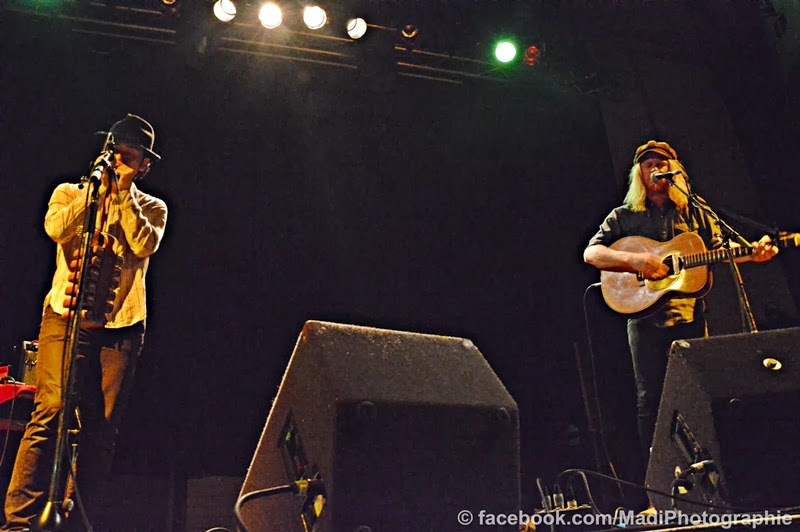 Thanks to Madi for all the pics (www.facebook.com/MadiPhotographie)! Big thank you to Stu and Natsuki for the Interview and great show!